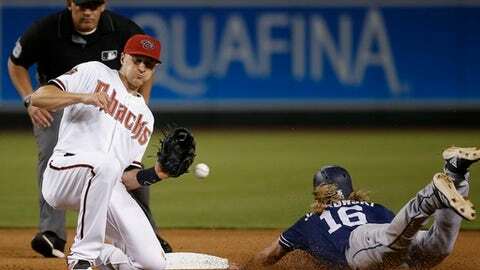 PHOENIX (AP) By two percentage points, the Arizona Diamondbacks are no longer in the lead in the NL West. Shelby Miller (0-3) was better in his third start coming off Tommy John surgery, but still got the loss, allowing five runs – three earned – and five hits in 5 1/3 innings. He struck out seven and walked two.